USANA, word! : Olympian Karina Bryant joins Team USANA! USANA Australia is thrilled to welcome four-time Olympian Karina Bryant to Team USANA. Karina is excited about her partnership with USANA and loves Procosamine and Proflavanol. She said “I can trust my career with USANA and their athlete guarantee gives my piece of mind, I have been around for a long time in sport they are the only company that have offered me this”. “The level of professionalism with USANA is exactly what I expect from myself in my career,” Karina said. Karina loves challenges, and as long as she is doing everything she can to make her goals happen she’s happy with her journey. With this motivation she became a four-time Olympian and competed at the Sydney, Athens, Beijing and London games. To achieve these goals she trained full time with 2-3 sessions daily. six at the World Championships and four European Championships golds. In 2003, Karina was voted as the European Female Judo Player of the Year. She won a bronze at the European Championships in 2012 and also represented Great Britain at four successive Olympics, winning the bronze medal in the heavy weight event at the 2012 summer Olympics in Britain. Unfortunately after London 2012, Karina injured herself and had three surgeries (knee, shoulder and a new disc in her neck) and has been unable to compete since then, however she has recovered well and is now back in action, fighting fit and attempting Olympic glory for the 5th time at the upcoming games in Rio 2016. Karina’s love for judo started when she was 10-years-old. 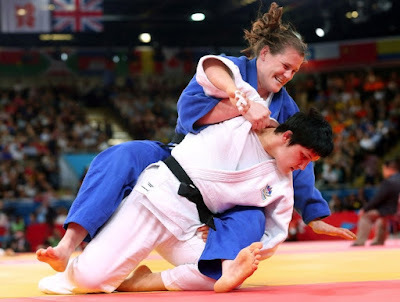 She had moved into a new area and one of the ways she tried to stay fit and make friends was by joining the local judo club (Camberley Club). Her main purpose of joining the local judo club was to meet new people, learn self-defence and all the values that come with martial arts. She thoroughly enjoyed the sport and quickly earned her black belt less than six years later. Soon after Karina competed in the over 72kg class and she finished with a silver medal in the European Junior Championships in 1995. 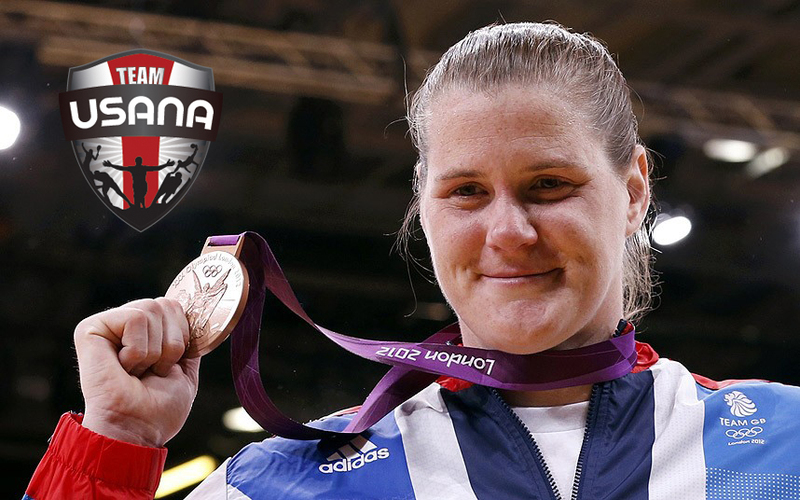 The following year she medalled another European silver and won the World Junior Championships. She won a further Junior World title in 1998 and won the European title for the first time in that same year. USANA Australia looks forward to working with Karina and wishes her all the best with her goals and training.